2CheckOut Reviews - Is 2CheckOut The Right Choice For You? 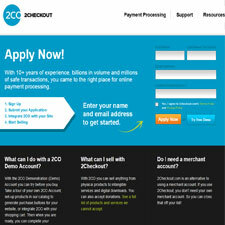 2CheckOut offers what they call the merchant account or credit card processing alternative. As a widely used international payment solution provider with a simple fee structure. With the usual ‘industry leading fraud protection’ suite and tools, and a quick process of sign up to credit card processing turn around you can be processing sales transactions the same day of your sign up. They offer a full line of shopping cart integration software and competitive fee rates for transactions, sales amounts and fees. With a focus on maintainable growth and merchant service support for both new and existing clients. 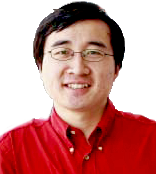 They provide options for no term contracts and international suppliers. I found their support knowledgable, they were helpful with integration, I didn’t shop around much so I don’t know how their credit card processing rates compare, but as a team I think they are worth a look for your merchant account needs. I bought a site from someone who was using 2checkout. And I have many billing issues. When a customer calls them to see that they did not receive their product (it is digital), 2CO refunds even though we have provided the service and digitally delivered the product. When a customer threatens with further action, they also refund right away. They also double charge clients (yes, it is possible that our clients clicked on submit twice). Their fee is really high! 5.5% + $.45 per transaction and reserve is another 5 to 5.5%, so your 12% of your total revenue is gone. I do not know when they release the reserve to you. So, no no, do not sign up with them! I am desperately looking for another vendor. Desperatly seeking another vendor. 2Checkout refunds even when you flag the account and they are instructed not to. You need to call them up to remind them about releasing payments. Getting through to customer service is the ultimate in frustration, although when I did get through 9 out of 10 times I received excellent service. Ironically I also utilize PayPal seperatly and have never had a problem with their system.